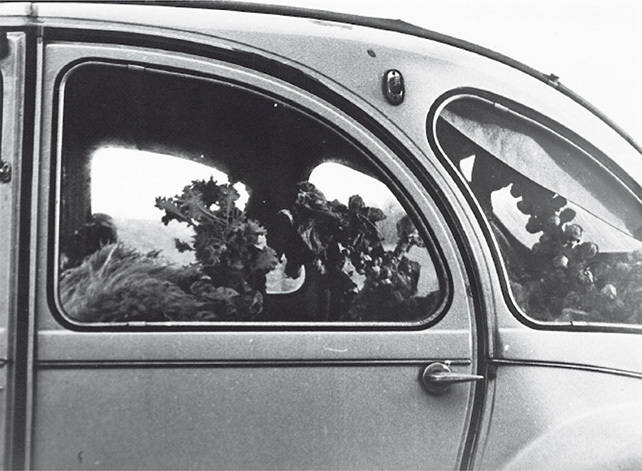 Cabbages in car. Courtesy Jef Geys Estate. NTU Centre for Contemporary Art Singapore is privileged to be presenting the first institutional exhibition in Asia of the late Belgian artist Jef Geys, featuring Quadra Medicinale Singapore. Geys’s work radically embraces art as being intertwined with everyday life. His conceptual practice adopts interdisciplinary and collaborative processes of research and knowledge-formation as seen in Quadra Medicinale, where a geographical quadrant marks out a section of carefully planned urban territories. From within this “terroir,” attention is thrown on the wild, accidental, neglected street plants, or “weeds.” Through uncovering the productive properties of these seemingly useless and parasitical plants, Geys confronts objective, scientific systems of classification with everyday forms of knowledge, as well as their sharing and archiving. Quadra Medicinale was Geys’s project for the National Pavilion of Belgium for Venice Art Biennale 2009. The method Geys employed serves as a universal manual that can be replicated anywhere. Quadra Medicinale Singapore extends the project, adding a Singapore section where local collaborators have been invited to identify and archive street plants from within a quadrant of their neighbourhood.